There are four sounds to study. First listen to each of them without knowing what they are. Did you notice that they all had the same pitch, but they sounded different. Why is it? Maybe the time-domain waveform isn't the best way to get such a connection. These were generated with MATLAB. Click here to see the code. Click here to open the code in MATLAB. 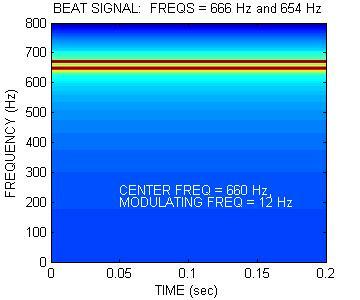 Another way to view the sounds is in the frequency domain. This is done by breaking the signal into many parts and computing the spectrum of each part. The spectra are plotted with a dark component representing a strong spectral component and white meaning no energy. Maybe the time domain waveform isn't that best way to get such a connection. These were generated with MATLAB. Click here to see the code. Did you notice that none of spectra changed with time? The bars were constant with time. This sound is noisy and harsh to the ear. 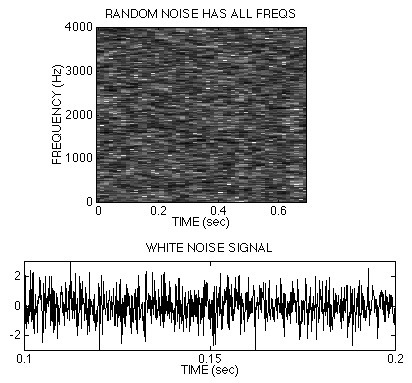 It turns out that this signal contains all frequencies with equal power and is, therefore called "white noise." 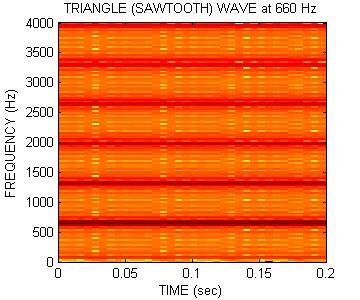 You can listen to the signal again by clicking on plots. 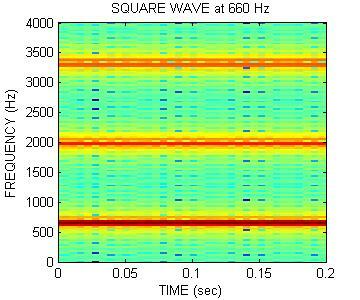 Does the spectrogram show any dominant frequency? Notice that the time waveform is unpredictable, i.e., random. 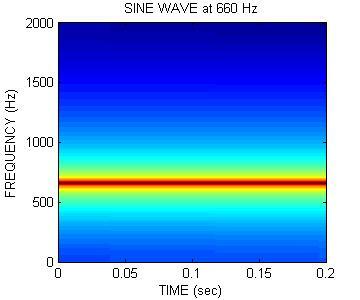 It can be synthesized in MATLAB with the randn(m,n) function.